The main philosophy of yoga: body, mind, and spirit are one and cannot be separated. There is much more to yoga than the physical postures (asanas), which is the most widely practiced yoga technique in the Western World. In fact there are entire historic philosophies behind these exercises—one of such is called Tantra Yoga, offering meditation, mantra (sound), visualization, lifestyle changes, and other tools that help lead one to enlightenment and ultimately a better self. 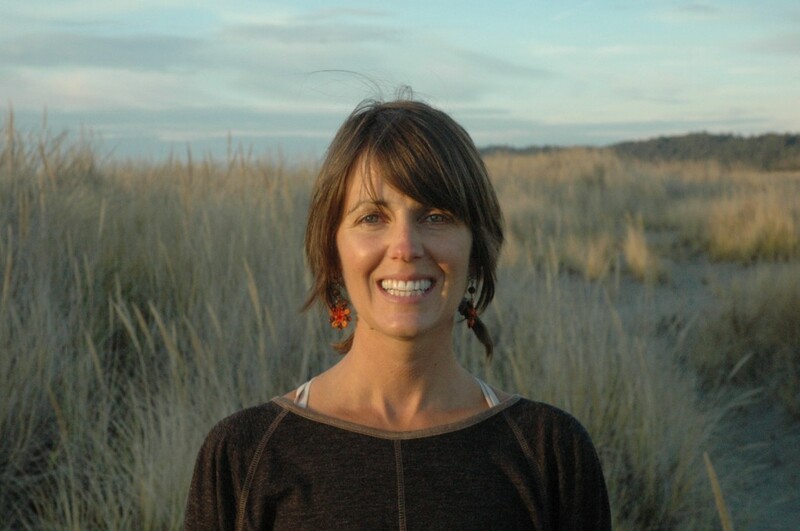 Yoga Teacher Dawn Hanson will be giving a talk to help others understand the roots of yoga. Hanson own and operates Sitka Yoga Studio in Astoria. Hanson’s yoga practice began as a haven from a hectic life schedule. She has studied a wide variety of yoga disciplines, with several world-renowned instructors, receiving her formal 500 hour yoga teacher certification from Yandara Yoga Institute. “Once you know the philosophy, it’s easier to tap into the techniques to be able to enhance or spark your spiritual practice. A spiritual practice, in a yoga context, is about becoming your best/highest Self,” Hanson said. Hanson says you don’t have to be a yogi to gain from her presentation; it’s for anyone who’s interested in philosophy, history, or finding a greater purpose in life. The timing of this talk is in line with the idea in yoga philosophy that winter to summer solstice is a time for awakening consciousness—becoming aware of how we’re living and progressing in the journey of life. You can learn about yoga philosophy at Astoria Co-op Grocery’s monthly talk—Beers to Your Health—at the Fort George Brewery Lovell Showroom (located at 14th and Duane in Astoria) on Thursday January 14 at 7 p.m. Doors open at 6 p.m. and food and drink is available from the taproom. The event is free and open to all ages. We like to make gift-giving enjoyable and convenient for you so we’ve brought in some new products with wide-appeal for the holiday season that you can purchase while you grocery shop! 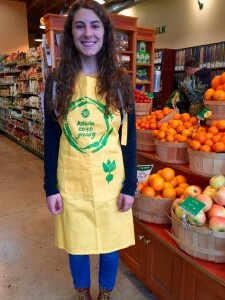 A Co-op apron hand-carved and block printed locally by Salty Style. 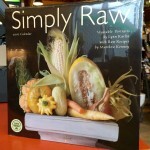 This is a great gift for anyone who likes to cook. And this special edition Co-op apparel is on sale for 10% off! Next up: socks. But not just any socks. Socks are sometimes mocked as Christmas gifts, but let’s face it, we all need them, and these are great for gift-giving because they’re special. 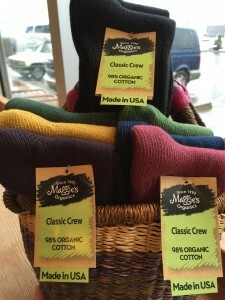 Maggie’s are super soft and cozy organic cotton and made in the USA. 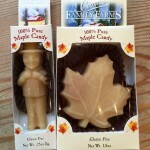 You can’t get more locally-made than this. 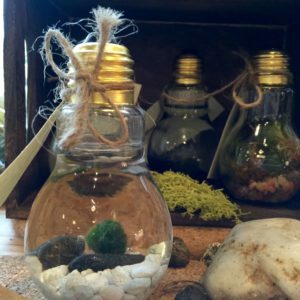 These terrariums are crafted by our own Thane Weinandt. When Thane isn’t cashiering at the Co-op, he’s finding and artfully arranging bits of nature in the neatest vessels such as light bulbs! These are so beautiful. Hard to even capture the beauty on camera. Come to the Co-op and see for yourself! 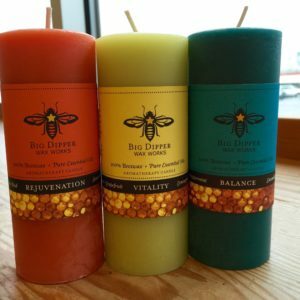 These pretty beeswax candles not only look pretty, but they smell pretty too. Essential oils aim to bring good things such as rejuvenation, vitality and balance. It’s so sweet that bees from as close as Knappa made it! With many varieties and sizes for you to choose from, this could be an unexpected and pleasant surprise to find in one’s stocking. 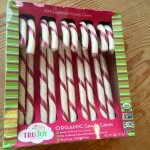 You don’t have to compromise your standards when it comes to Christmas candy. We’ve got plenty to choose from that’s naturally flavored, sweetened, and colored. The places and programs that Astoria Parks and Recreation manages are as vast and intriguing as the historic city that it’s a part of. “Astoria Parks & Recreation: Past and Future” is the theme for the next Beers to Your Health, Astoria Co-op Grocery’s monthly food and wellness talk at Fort George Brewery. The presenters include Historian John Goodenberger, Former City Planner/Special Projects Manager Rosemary Johnson and Parks and Recreation Director Angela Cosby. “The parks and recreation department is a vital and essential public service. It improves everyone’s health weather you’re utilizing the pool, taking fitness classes, walking through a park, or even driving by. The presence of greenery and children playing can have significant health impacts for everyone,” Cosby said. The presenters will describe some of the unique history of local parks. Shively Park is one of the oldest, built in the late 1800’s and then hugely developed for the city’s centennial in 1911 with a zoo, amphitheater, replicas of Fort Astoria and a native American village, botanical gardens, and one of the largest flag poles in the world. Ocean View Cemetery in Warrenton was adopted by Astoria in 1897. Caskets would be floated up river and stored until family members could gather. Many historic sites in Astoria are parks in order to keep them accessible to the public. A walkway at the foot of 14th Street is where a ferry picked people up to take them across the river before there was a bridge. 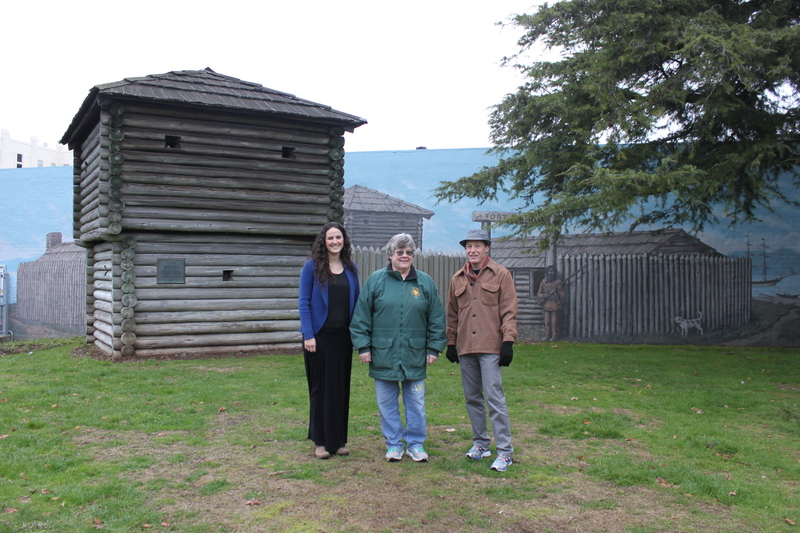 Parks commemorate sites of the west coast’s first post and customs offices and Fort Astoria. Some of the most popular places and programs of today’s Parks and Recreation Department include the aquatic center, Fred Lindstrom and Tapiola Parks, and maritime memorial. The city’s Little Sprouts daycare is so popular it has a waiting list. There are also little-known amenities, such as community gardens, the Alderbrook lagoon area, and Alameda Park. A master planning process to shape the future of Astoria Parks and Recreation is underway. There will be an opportunity to provide feedback on the future of parks at Beers to Your Health. An online survey is also available at www.astoriaparks.com. “I want folks to come to the event, to learn about park history and then tell us what they want to see in the future. This is a key time for the community to get involved,” Cosby said. The talk happens on Thursday December 10 at 7 p.m. at the Fort George Lovell Showroom. Doors open at 6 p.m. and food and drinks are available from the Taproom. The event is free and open to all ages. In early November I got a call from Matt Stanley (Co-op GM) telling me I was the winner of the Co-op’s prize from their equity drive–and the prize was having a chef cook dinner for me and three friends. It was a wonderful surprise–especially because I hadn’t realized there was a potential prize for paying off my membership. But I had told some friends not long before this, I would like to have a chef show up and cook dinner for me. So it was all perfect the way it unfolded. To make things really special, it was chef Marco Davis who showed up bearing two bags of organic food from the co-op. 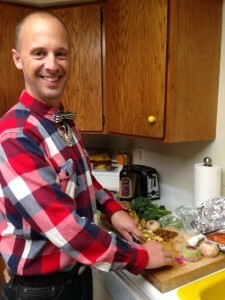 And in what seemed like some effortless magic, he proceeded to prepare a really amazing dinner. I’m not a food writer so I will do my best to describe this. The appetizer was thin slices of watermelon radish (the radish is an incredible substitute for a cracker) topped with aged Gouda and roasted yellow pepper, and sauteed slices of Bolete mushroom that I found on my walk and he offered to cook. Next was a beautiful salad of arugula topped with roasted carrots and parsnips and some crumbled Danish blue cheese. We had a bit of a breather before the main course while Marco put it together, plated it and brought it to the table, and it was beautiful: chicken with yummy chanterelles in a rosemary cream sauce (oh my), peridot green jade pearl rice and brocolini. As one of my dinner guests said, it made her want to sing! Finally, dessert was a delicious creation of Marco’s called chai cream pie. You can see all the recipes on his Tuesday (Dec. 2) food blog at http://www.astoriarain.com/. Marco said he was going to leave, and when we got up to hug him goodbye, we noticed he had quietly cleaned the kitchen! All the dishes were washed and put away. So thank you Marco and the Co-op for creating a wonderful meal and a delightful evening. I’m already thinking about how to make this happen again. 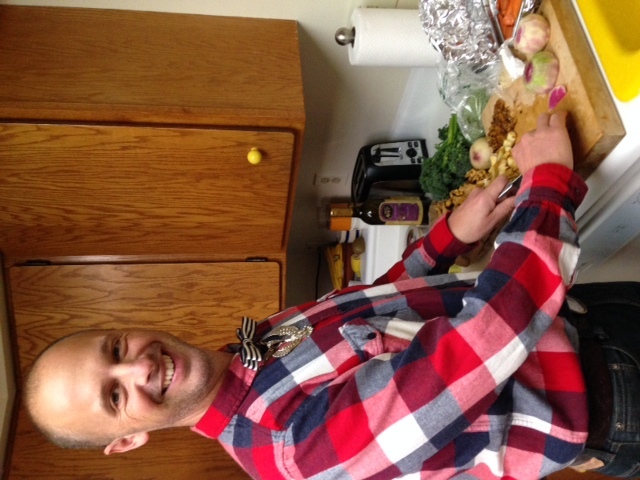 It was such a treat to have someone show up, just like I wished, and cook dinner for me. Membership at the Co-op definitely has its rewards! Visiting our fellow food co-ops across the country is practically a pastime for me. My wife doesn’t always get what all the fuss is about, but she’ll oblige a visit to the local co-op because it usually means a source for eating healthy on the road. Recently, our Board of Directors generously gave an entire weekend to the task of writing the store’s five year strategic plan. We decided to make a trip up to Port Townsend for our retreat this year. We chose Port Townsend because of the similarities between it and the City of Astoria. Both cities have similar populations. Both have downtowns that are characterized by locally owned businesses. Astoria has slightly lower median household incomes (about 5% less). And Astoria and Port Townsend alike are relatively isolated from major highway corridors. 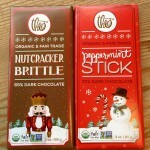 But most of all, of course, we chose to travel to Port Townsend because it boasts a successful food co-op! Kenna Eaton is the Port Townsend General Manager. She, too, generously gave of her time to give our Board of Directors a tour of the Co-op she manages. If you’ve ever had the pleasure of visiting this co-op, you’ll know that it is considerably larger than our food co-op. In fact, it is about the size store we are beginning to envision for ourselves here in Astoria. And this size is not overwhelming. Even though it is nearly quadruple our size, it still very much felt like a food co-op. 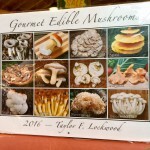 Photos of local producers adorned the walls. Staff was accessible and friendly. We envied the expansive produce section, customer service desk, filtered water filling station, and more than ample deli seating area. They had some neat ideas in the store too. For example, a section of the store was reserved for local cottage industry producers to sell their wares (for no charge) directly to consumers. 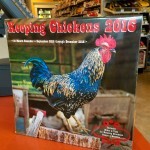 But the Port Townsend Co-op is running out of room! 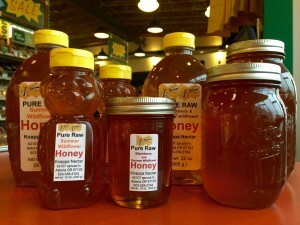 They sell more than $13 million in heathy foods each year, mostly to their consumer owners. They employ over 100 folks. Their well laid-out and merchandised store betrays a back stock nightmare. They simply do not have enough room to store all the products that they sell. Each morning, staff rolls all the back stock of packaged grocery items outside underneath a tent. At night, it comes back in. This takes a lot of work! sharing our plan in the coming months. It will communicate the big ideas, goals, and focus points that will guide our decision making as we plan for more space. Thank you to the Port Townsend Co-op for showing our Board of Directors what is possible, even in a small town, when we cooperate. And thank you to all Astoria Co-op Grocery owners for being a part of our planning process. We look forward to continually improving our store and all that it has to offer to our community. And next time you are traveling, be sure to check out the local food co-op. If you see ideas, products, or practices that you like, be sure to let us know! Results of a recent survey we offered you are shaping the Co-op’s strategic plan. There were several ways we gathered community input, but the shopper survey in October, was the farthest reaching. We heard from advisors (National Cooperative Grocers) that based on our size we’d need about 300 responses to be statistically robust. Guess how many responses we received from you? 760! For those who took the time to complete the survey, thank you. How did we achieve such a high level of response? I think first and foremost, we have a very engaged community. There was obviously a lot of interest from Co-op owners and shoppers in helping shape the Co-op’s present and future. We got the word out regarding the survey via emails, Facebook, newsletter, in-store signs, newspaper, and radio shows. There were many questions, but the big one was regarding expansion, and whether Co-op shoppers would align themselves with the Co-op board and management’s vision which includes a bigger space within the next five years. We heard a resounding “yes”. 85% of respondents support growing the Co-op, 13% neutral and less than 2% opposed. One concern cited was the Co-op re-locating too far away from its existing footprint. But rest assured, the survey also told us that if the Co-op were to expand, most people would prefer it to happen in Astoria. The most important aspects of a possible expansion listed in the survey results include a greater variety of products, new or expanded services in the store (such as a deli, meat counter, bakery etc. ), selling more local and/or organic foods, increasing the Co-op’s purchasing power (which could result in lower prices), and expanding the number of living wage jobs. While an expansion would probably be months to years in the making, the survey results are really helpful for the work we do now, to know where your priorities lie. For example, the top social issues survey-takers thought the Co-op should champion are as follows: supporting local agriculture, providing nutrition education, promoting recycling, and addressing local hunger problems. We can keep this feedback in mind when planning outreach activities. Overall, it is good to see we are doing a good job of meeting our shopper’s needs. Nearly everyone said they’d recommend Astoria Co-op Grocery to a friend. We are so grateful for all the feedback which will help us improve our cooperatively owned local food store.